More than 1000 petitions were delivered to the Montana Public Service Commission on Wednesday January 18. 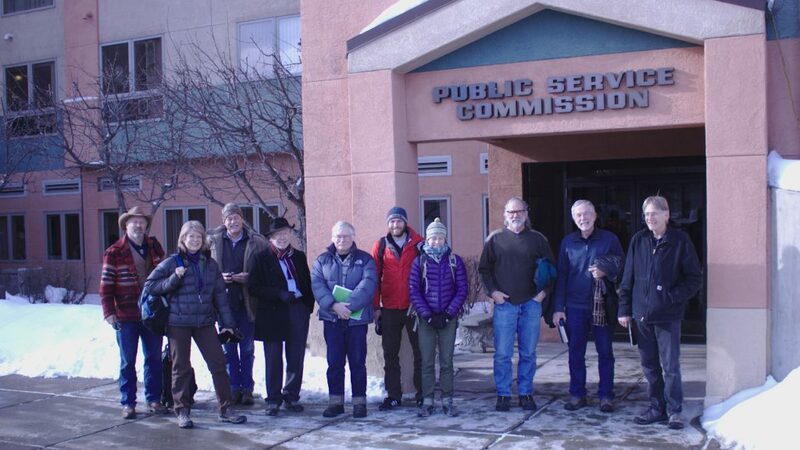 Eleven people from 350Montana traveled to Helena in support of the petition to attend the PSC hearing. Five members testified during the public comment period to the PSC. The session was followed by a meeting with lawyers from MEIC and Northwestern Energy. Following statement is in the petition.